Barry Coward: A Partisan Historian of the English Civil War. These remarks come one day after attending a memorial service for the historian and teacher Barry Coward. Well over 130 of Barry’s family, close friends, co-workers and former students attended the service. Perhaps it is a bit strange to say this, but it was a hugely enjoyable and uplifting occasion. The death of any person is a sad thing, but the fact of the matter is that Barry Coward was a special historian and I certainly left the memorial with the feeling that knowing him made you a better person. The first thing that struck me about Barry Coward was his incredible and infectious enthusiasm for his chosen topic. 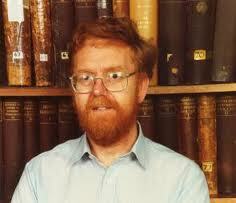 He was also something rare amongst most historians in that he was always warm and friendly towards his students. Barry Coward was rare bread. He was both a serious historian, but he was also a first class teacher. John Croxon who was one of Barry’s students who spoke at the memorial testified to Barry’s special talent as a teacher. John’s experience echoed my own and many other students in the fact that Barry always had time and patience for students no matter how small their questions. While listening to the speakers, you got a great sense of Barry’s modesty. This may have stemmed from the fact that he had a formidable knowledge of his subject so much so that some his books such as The Stuart Age, England 1603–1714 (latest edition 2003)The Cromwellian Protectorate (2002) are standard texts on the subject of the English Civil War. Fellow historian Ian Roy spoke of Barry’s work. I tend to agree with him as regards probably Barry’s most important task certainly because of its value for research purposes was his English Historical Documents, 1603-1660: which edited alongside Peter Gaunt. His book on Oliver Cromwell (1991) has also become a standard textbook on the period. This was not an orthodox biography. He kept an open mind on the main issues surrounding Cromwell. He made an important point of saying that it is good to strip away the myths surrounding Cromwell. Many of these myths and falsehoods were spread by hostile biographers. As the title says, Barry was a partisan Historian. He was a former president of the Cromwell Association. While he wore his history on his sleeve, he did so to further our understanding of not only Cromwell but also his place in the English revolution. Coward was not a materialist historian. While not a revisionist historian, he accepted the way history of this period is now written without any attention to underlying socio-economic causes of events portrayed in the book. However Coward did concede that the differences which arose amongst parliamentarians were political rather than religious. The main reason for disagreement was over what to do with the king. What was the class basis of the differences between the Independents and Presbyterians? He makes an outstanding claim that the New Model Army was not political from the outset and that it was not politicised by the Levellers, which I don to agree with. Coward says the army spontaneously gravitated to radical solutions over pay grievances etc. This downplaying of the ideological debates that took place in the army is a major weak point in the book. That is not to say that Coward had no grand narrative, which was his fascination with Cromwell’s attempt at a “Godly Reformation”. Again the weakness in this book is the absence of any class analysis. What social forces were moving not just Cromwell but other players? Barry was an excellent public speaker although not the best he was not the worse. He also had one of the best traits of a historian in that during his lectures you could almost sense that when he was speaking on a subject, he was already rethinking his remarks. It would be remiss of me to say that I did not always see eye to eye on his political and historical conclusions on the Civil War. We came from different political family trees. He was old school labour, and I was certainly to the left of him, but I must say that during his seminars which were probably the best part of my degree course we had a frank exchange and that was it. Having said this he was always, the gentlemen and these debates never became bitter or rancorous. In conclusion, while Barry never subscribed to the Marxist method of studying historical events I am sure he would not mind me quoting Karl Marx to highlight Barry’s attitude to study. In the 1872 Preface to the French edition of Das Kapital Vol. 1, Marx emphasised that "There is no royal road to science, and only those who do not dread the fatiguing climb of its steep paths have a chance of gaining its luminous summits". Reaching a scientific understanding was hard work. Conscientious, painstaking research was required, instead of philosophical speculation and unwarranted, sweeping generalisations. Suffice to say Barry made it to that luminous summit. I will miss Barry and so will the past and future students of 17th century England. I am afraid that it is not true to claim that there was a dearth of works on the Levellers before Christopher Hill and other members of the Communist Party’s Historians’ Group began work to rescue them from historical oblivion or that this was the responsibility of Whig historians. S.R.Gardiner considered the Levellers’ influence in the period from 1647-1649 in some detail in Volume IV of his history of the English Civil War and in his biography of Oliver Cromwell: the first Agreement of the People, now known to be the product not of Leveller thinking but of a group of radicals around Henry Marten, appeared in 1889 in his Constitutional Documents of the Puritan Revolution. It was C.H.Firth who edited and published The Clarke Papers, which throw such light on relations between the leaders of the New Model Army, the Agitators and Levellers, between 1891 and 1901. Eduard Bernstein’s book, Cromwell and Communism; socialism and democracy in the great English Civil War was published in German in 1895 and in an English translation in 1930. G.P.Gooch’s work, The history of English democratic ideas in the 17th century, first appeared in 1898 and T.C.Pease’s book, The Leveller Movement; A Study in the history and political theory of the English Great Civil War, was published in 1916. Margaret James’s book, Social Problems and Policies during the Puritan Revolution 1640-1660, was published in 1930 as was J.W.Gough’s article, ‘The Agreements of the People’ in History in the following year. The truth is that there had been a significant amount of work done on the Levellers long before they attracted the attention of Christopher Hill or of the Communist Party’s Historians’ Group. It is true that there were Marxist historians of importance working in the pre- and post-Second World War periods. But, by the early-1970s, their influence was largely spent as far as the early modern period was concerned as was that of Lawrence Stone. Marxist influence had never been overwhelming or absolutely predominant even if it had attracted the support of, perhaps, a third of the specialists in this period. Hugh Trevor-Roper, J.P.Cooper and J.H.Hexter had seen to that. ‘Revisionism’ in the sense you use the term was born in the late-1960s and was itself defunct by the early-1990s. To be a non-Marxist is not to be a ‘revisionist’. Personally, I prefer a situation in which a range of influences and trends shape the historiography of the period before, during and after the struggles of the 1640s and 1650s in the British Isles. Critical attacks on Kishlansky, Morrill and Russell will not revive historical materialism of the kind advocated in the 1950s and 1960s. The Levellers were an interesting phenomenon and important for their ideas amidst the competing political and religious debates of the late-1640s but their support was relatively small and they were gone in the space of a very few years. Such a transient phenomenon deserves serious historical evaluation rather than hagiography. This interest has been reflected in the response to Rees’s book from mainstream and academic media with reviews in the Financial Times, TLS, and The Spectator magazine just to name a few. Why the interest as Braddick poses? One reason being is that the left learning sections of the media inside and outside academia have always had a fascination with the Levellers. The right seeks to tie the Levellers to the Labour Party and dampen any talk of revolution. Another reason is that the problems that the Levellers grappled with in the 17th century are unfortunately are alive and kicking in our own century. A third reason for such interest in the book and this is not to denigrate the book which is of a very high standard or the integrity of the author but the book does appear at a very precipitous time in so much that capitalism is going through a great crisis and what usually happens is that working people start looking for answers to today’s problems in the past. It is, therefore, important for a historian to present and objective account of any subject they write about. Rees manages a pretty good job. Much of the groundwork for this new book was done in Rees’s own Ph.D. thesis unfortunately his new book is only partially based on that but nonetheless it deepens our understanding of these revolutionaries and most importantly counters decades of conservative revisionist historiography. The book works well on several levels. It does not give a general history of the English revolution but it does give a significant understanding of the revolution that coursed through 17th century England. It reads like a novel but maintains a very high academic standard. Second, only to the Russian Revolution, I doubt there has been a decade of revolutionary struggle that equals 1640-1650 of the English revolution. This decade produced a revolutionary army the likes the world had not seen. An entire army had, in another historical first, elected its own representatives from every regiment, challenged their commanders and altered the entire political direction of the revolution. A republic was fought for and established. The House of Lords was abolished. A king was executed by his people for the first time in history. As for the national church, it was reorganized and its leader the Archbishop of Canterbury tried and executed. As the regicide, Thomas Harrison said, “It was not, a thing done in a corner.” A group of revolutionaries was born that sought to establish a society based on communistic lines and their theoretical writings and perspectives proceeded the development of Marxism by some three hundred years. Rees’s book also counters some historians who have tried to present the Levellers as just a loose collection of radicals. Rees provides extensive evidence to the contrary. While not being a party in the modern sense they nonetheless were a well organised and strongly coherent group. One strength of the book is how Rees traces how the Levellers used secret printing presses and how they utilised churches as bases for their political activity.The congregation of these churches were not passive by standers but circulated radical Leveller pamphlets and books. To describe the movement as a party is perhaps premature but nonetheless they took on many characteristics of a party that would not look out of place today. As Rees says there was then a ‘dense fabric of political opposition in the capital during the early days of the Revolution, and in some cases from before that, from which the Levellers emerged as an organised current. Underground activity in churches and taverns, combined with the secret printing and petitioning activity … provided a schooling in organised politics which would feed into the foundations of the Leveller movement. The point where meetings in churches and taverns spill over into mass street demonstrations is possibly an early decisive moment of transition. This is the point where clandestine or semi-clandestine activity becomes irrefutably public opposition to established authority’ (p.65). Rees’s research has given us a far closer approximation as to the class character of the Levellers. While it is correct to characterize them as revolutionaries they were a movement of the petit bourgeoisie and not the what could be loosely termed at the time the working class. For the Russian Marxist Evgeny Pashukanis “the Levellers undoubtedly were a petit-bourgeois party. While some historians protest that capitalist relations were not that developed to describe them as such I believe that there were sufficient bourgeois-capitalist relationships, at the 1640s to warrant such a claim. Their call for suffrage was not universal although even their call for a wider franchise was a revolutionary demand. They were a minority and could not mobilize the one class that would have given the poorer sections of society against Cromwell and his bourgeois allies. Much of their social composition was made up of the “middling sort” of lesser gentry, merchants, and craftsmen that made up the same social base as Cromwell. Current historiography has certainly carried over much of the worst traits of Whig attitudes towards the Levellers. Some have ignored them completely such as John Adamson others have portrayed them as having little or no influence on the outcome of the war. John Morrill mentioned them twice in his book The Revolt of the Provinces. There have been oppositional voices. Edward Vallance has uncovered a persistent influence of John Lilburne’s politics on radicals in the 1700s. He concludes ‘historians have undervalued the degree of intellectual sympathy and continuity between the radicalism of the seventeenth century and that of the eighteenth’. He continues “In a way, revisionism was never only about the English Revolution. Very similar arguments were deployed at much the same time about the French and the Russian Revolutions. Moreover, the revisionists depended on a wider conservative turn in social theory. The Althusserian school of the 1970s, which became the post-structuralist school, which became the post-modernist school which fed the ‘linguistic turn’, provided a theoretical tool-box for the revisionists and those that came after them. “In my opinion the revisionist insistence that the Levellers were exterior to the army is overstated. Many Levellers were of the Army themselves. Lilburne had an exemplary and widely publicised military record. But Lilburne was not alone in this. Leveller William Allen served in Holles’ regiment. Leveller printer William Larner served as a sutler in Lord Robartes’ regiment. Thomas Prince fought in the London Trained Bands until he was injured at Newbury in 1643. John Harris ran an Army printing press. Leveller ally Henry Marten had close engagement in military affairs in London and eventually raised his own regiment in Berkshire. Thomas Rainsborough and his brother William were Leveller sympathisers. Edward Sexby was a central figure in the actions of the Agitators. Army chaplains Jeremiah Ives and Edward Harrison supported the Levellers. This list is indicative but far from exhaustive. It does not include most of the figures directly involved in the mutinies at Ware in 1647, and at Bishopsgate and Burford, both in 1649. These connections add weight to Foxley’s observation that the Putney debates ‘marked not the end but the beginning of a potentially fertile alliance between civilian Levellers and army radicals’ and that this ‘reverses the picture painted by the standard revisionist historiography’ “(p. 158). History and for that matter historians have not been kind to women who took part in political activity on both sides of the English Civil War. There is a dearth of material on women’s struggle now. As far as I can ascertain no major biography exists of two of the most important Leveller women Katherine Chidley and Elizabeth Lilburne. Women Levellers mounted large-scale demonstrations and organised petitions in favour of social equality. They were met with differing levels of brutality depending on which class they belonged to. overall middle class women were treated with derision but largely no violence was committed against them. This is not the case with the poorer sections of the women’s movement who were often treated severely by MP’s and soldiers alike.” Many were thrown into prison, mental institutions, or workhouses. Middle class women were simply escorted away by soldiers and told to 'go back to women's work”. One MP told them to go home and wash their dishes, to which one of the petitioners replied, “Sir, we scarce have any dishes left to wash”’ (pp.290-1). This extraordinary revolution radicalized many women into political action. As Rees points out one of John Lilburne’s most important collaborators, Katherine Chidley, also emerged from the context of the gathered churches. She published a remarkable defense of independent congregations, and religious leadership by the socially inferior, including women, becoming a key figure in Leveller publishing and organizing (pp.38-40). As Ann Talbot succinctly put it “the Communist Party sponsored a form of “People’s History, which is typified by A.L. Morton’s People’s History of England in which the class character of earlier rebels, revolutionaries and popular leaders was obscured by regarding them all as representatives of a national revolutionary tradition. This historical approach reflected the nationalism of the bureaucracy, their hostility to internationalism and their attempts to form an unprincipled alliance with the supposedly democratic capitalists against the fascist Axis countries. People’s history was an attempt to give some historical foundation to the policies of Popular Front—the subordination of the working class to supposedly progressive sections of the bourgeoisie and the limiting of political action to the defence of bourgeois democracy—which provided a democratic facade to the systematic murder of thousands of genuine revolutionaries, including Trotsky. It was the approach that Christopher Hill was trained in, along with E.P. Thompson, Rodney Hilton and Eric Hobsbawm, who were part of the Marxist Historians Group and came under the influence of Maurice Dobb and Dona Torr”. This viewpoint has even been adopted by a historian who has no attachment to the SWP, Ed Vallance’s book A Radical History of Britain and David Horspool’s The English Rebel are two that come to mind. It is a perspective that says the English working class is inherently radical and revolutionary and does not need a Marxist scientific world outlook. I and John have clear and unbridgeable differences both politically and historically but this does not stop me recommending his book to the widest audience possible. I Hope it starts a much-needed reinvestigation into this most important political tendency. It is hoped that Rees’s book is translated into many languages and published in many countries as possible. Differences aside it is a very important book. Leveller organisation and the dynamic of the English Revolution John Rees Doctoral thesis, Goldsmiths, University of London, 2014. Sir Michael Livesey was born 1614. In historical terms, his early family history is often presented as being rebellious, but this is far from an accurate picture of the origins of the family were in reality as established members of the 17th century English gentry. Michael Livesey’s grandfather was employed as the sheriff of Surrey. Michael’s father was the first Livesey to inhabit Kent. The family soon became settled so much so that they became critical community members with Michael’s father also becoming sheriff in 1618. The Livesey’s growing status was expressed in the fact that Michael was granted a baronetcy in 1627. Given the exalted position of the family, it is on the surface perplexing to find that Michael Livesey played such a prominent part on the side of Parliament and was a radical independent to boot. Why people choose, sides in the English Civil War has occupied historians of different views for centuries. In this short article, I would like to offer some thoughts. Linking this question to Sir Michael Livesey is conditional on the fact that little is known about his personal views as regard why he fought against the King and in the end gleefully signed his death warrant. After all, he left no diary or as far as my research has taken me no strong statements of his intent have been found so only some general points can be made on why a layer of the gentry represented by Livesey was driven to fight on parliament’s side. From1637 up until 1640 he was a justice of the peace. At the start of the war, he became one of the most fanatical puritans in the county who gave information according to J T Pearcy’s biography “against recusants to the Long Parliament in November 1640 and was one of the ringleaders of the Kentish petition of grievances in February 1642. Under his leadership, his troops became radicalised with him so much, so they were accused of disorder and plunder, and he had to be warned to keep them under control, “for fear of disaffecting the community further”. 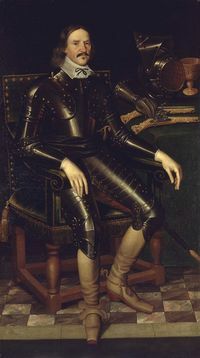 This radicalising led to his troops sanctioning Pride’s Purge in December 1648. He was so trusted by Cromwell that when it came to killing the king, he served on the high court of justice to try Charles I. His signature is fifth on the death warrant. Livesey attended every day of the trial. One writer has joked that he was so eager that he was almost waiting with quill in his hand dripping with ink. The men who signed the death warrant have had a far from easy time from historians depending on their point of view historians of this subject have either taken the view of the 17th century Italian philosopher Vico and described them as Heroes or they have been described as in CV Wedgwood book, The Trial of Charles I, as“rogues and knaves”. From what we know of Livesey it is clear he made choices and acted on those choices with a passion that is undeniable. What drove him? Unfortunately for some established and distinguished historians, this has become an unimportant question. As far as the historian Conrad Russell is concerned there were no great causes of the civil war which drove men such as Livesey to do what they did in fact according to Russell “it is certainly easier to understand why sheer frustration might have driven Charles to fight than it has ever been to figure out why the English gentry might have wanted to make a revolution against him”. For Russell, it was easier to trace long-term reasons why the King would do what he did, but he mysteriously denies that these same long-term reasons could also explain the actions of the gentry. Russell is of that brand of revisionist who believes that the English do not really do revolutions especially nasty ones When they do he prefers the 1688 version, not 1640s. I must add that I do not brand Russell a revisionist as some kind of epithet but it some respects all historians are revisionist. The use of the term in this regard is done to highlight that Russell brand of historiography was a reaction and refutation of the Marxist Historians such as Hill and Manning this can be seen clearly in this next quote in which Russell was seeking to dispel the Marxists insistence of long-term causes of the Revolution. “If we were to search the period for long-term reasons why the King might have wanted to fight a Civil War, we would find the task far easier than it has ever been to find long-term causes why the gentry might have wanted to fight a Civil War.” Why, then, has the task never been attempted? The trouble, I think, comes from our reliance on the concept of 'revolution.' Revolutions are thought of as things done to the head of state and not by him. The result is that Charles has been treated as if he were mostly passive in the drift to Civil War, as a man who reacted to what others did, rather than doing much to set the pace himself. This picture is definitely incorrect. Whether the notion of an 'English Revolution' is also wrong is a question I will not discuss here. Anyone who is determined to find an 'English Revolution' should not be looking here, but later on, in the years 1647-1653, and those years are outside the scope of this article. This article is concerned with the outbreak of Civil War, an event in which the King was a very active participant”. At this point, I should say that although members of the gentry like Livesey did take part in a revolution despite Russell’s protestations, it would be wrong to say that they did so as a tight discipline unit similar to Bolsheviks during the Russian revolution. The 17th-century revolution was a not a chemically pure revolution. And one caricature of Marxism has been to present Marxists as presenting so. It is clear that the gentry was split into all sorts of camps and fought for all kinds of political, social, and economic, religious and localised reasons. But the beauty of this period is that identifiable class relations were becoming more definable, and parties and political allegiances became somewhat clearly into view. According to a 20th century Russian revolutionary speaking on 17th-century revolutionary politics “The adherents of the Episcopal or Anglican, semi-Catholic Church was the party of the court, the nobility and of course the higher clergy. The Presbyterians were the party of the bourgeoisie, the party of wealth and enlightenment. The Independents and the Puritans especially were the party of the petty bourgeoisie, the plebeians. Wrapped up in ecclesiastical controversies, in the form of a struggle over the religious structure of the church, there took place a social self-determination of classes and their re-grouping along new, bourgeois lines. Politically the Presbyterian party stood for a limited monarchy; the Independents, who then were called “root and branch men” or, in the language of our day, radicals, stood for a republic. The half-way position of the Presbyterians fully, corresponded to the conflicting interests of the bourgeoisie – between the nobility and the plebeians. The Independents” party which dared to carry its ideas and slogans through to their conclusion naturally displaced the Presbyterians among the awakening petty-bourgeois masses in the towns and the countryside that formed the main force of the revolution”. One last point some historians perhaps the most famous of which are A Everitt and John Morrill have sought to explain the behaviour of members of the Gentry such as Sir Michael Livesey from the standpoint of local politics or religion. Morrill’s most famous work The Revolt of the Provinces to a certain extent sums this school of History up. In an interview with Morrill he describes how he developed his provincial view of the Civil War “I think it was in 1973 in Oxford when I was a young research fellow that I gave a series of lectures called ‘Some Unfashionable Thoughts on English 17th-century History’, and these were extraordinarily crude and unsophisticated revisionism avant la lettre. But I’m not claiming I’m the progenitor – I’m saying there were a lot of people trying to work out a new position who were dissatisfied with the existing position. I’ve no doubt at all that Lawrence Stone’s Causes of the English Revolution (1972) was the thing people reacted against, with its rather triumphalist claim that you could now produce a kind of social determinist view of the long-term causes and origins of the English Revolution. It was that I think, which a number of people quite independently reacted against”. Having only picked up Morrill book recently I cannot comment on his particular type of historiography. I am not against local studies of the revolution. In many ways, it is useful in explaining the actions of people like Livesey, but I believe this type of research can only take you so far. There were local issues that impacted heavily of why people fought and who they fought for. But I believe that this type of study must be done in conjuncture with an understanding of the long-term causes of the war and have a thorough knowledge of the way socio-economic changes move men and women or as Marx said it "Men make their own history, but they do not make it as they please; they do not make it under self-selected circumstances, but under circumstances existing already, given and transmitted from the past”. House of Commons Journal Volume 2: 21 April 1642', Journal of the House of Commons: volume 2: 1640-1643 (1802), pp. 535-537. URL: http://www.british-history.ac.uk/report.aspx?compid=9061 Date accessed: 01 June 2011). Professor John Morrill interview Transcript interview took place in Selwyn College, Cambridge, and 26 March 2008. On the origin of the Kentish rising see Matthew Carter’s A true relation of the Honourable though unfortunate expedition of Kent, Essex, and Colchester. A contemporary list of radical members at the time of Pride's Purge The following list is from a little-known but important pamphlet published a few days after Pride's Purge, giving a list of those regarded by its author(s) as the real radicals of Parliament. It appears to be reasonably accurate, as it omits the more conservative independents, such as Armine and those known to have been absent at the time, such as St John, Whitelocke, Vane, etc.